The Boston Red Sox eliminated the Yankees in the American League Division Series Tuesday night. Boston was victorious against their bitter rivals on the Yankees home turf and added insult to injury by playing Frank Sinatra’s classic New York, New York after the win. 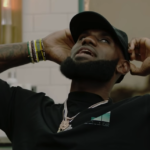 Part of the reason for the extra torturous celebration was because of Yankees Aaron Judge playing the song last weekend after the Yankees took game 2 at Fenway Park. The Red Sox move on to play the Houston Astros in the ALCS. In a wild-card do-or-die game with the winner advancing to the American League Division Series, the New York Yankees came out strong and dominated all night to beat the Oakland Athletics. Power hitter Aaron Judge made a statement in his first at-bat with a home run that gave the Yankees a 2-0 lead. Judge credits the energy of the crowd with his performance. 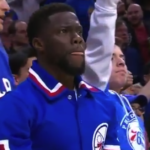 “I was feeding off of (the crowd) from the National Anthem. The last couple of seconds of the National Anthem, I couldn’t hear the ending because the crowd was getting so loud. That’s Yankee Stadium for you.” All night you could hear the fans chanting “We want Boston!” Yankees head to Boston to take on the Red Sox Friday night for the first game of the ALDS. Yankees 7, Athletics 2. #1 Alabama keeps winning, but that doesn’t give the fans an excuse to miss games. Coach Nick Saban addressed the issue in a press conference and did not mince words when he described how hard the players work, “They introduce our players and nobody even cheers.” He went on to say, “There’s a part of it where other people need to support them too, and there’s got to be a spirit that makes it special to play here, because that’s what makes it special to be here.” He continued, “But to see half the student section not full, I’ve never seen that since I’ve been here before.” Alabama takes to the road to play Arkansas on Saturday. 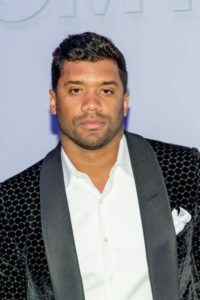 Super Bowl winning quarterback Russell Wilson joined the New York Yankees in spring training and, according to Wilson, it’s not just a publicity stunt. He’s training hard, and in honor of his father who took him to Yankee games growing up, wants to play for the team. Either way, the team feels he’s a great influence on the younger players. 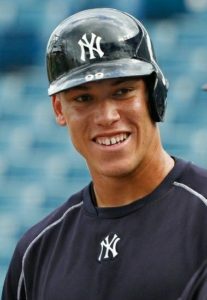 Even AL rookie of the year and reigning home run champ, Aaron Judge, is excited to have him on the field. He told reporters he asked Wilson, “Hey man, did you bring a football?’ He says he’ll have one by the end of the week, so you might catch us out on a back field running some routes.” Even though Judge is participating fully in spring training, he says he won’t be 100% healthy from his shoulder surgery until opening day. The Yankees regular season opens on March 29th against the Toronto Blue Jays. The NFL is seeking reimbursement of $2 million dollars in legal fees from Dallas Cowboys owner Jerry Jones. Last season, Jones famously defended his star running back, Ezekiel Elliott against domestic abuse violations, and also threatened to sue other owners over the renewal of NFL Commissioner Roger Goodell’s contract. Some viewed this fine as Goodell’s revenge against Jones, but according to a rule that’s been on the books for over 20 years “if an owner participates in bringing litigation against other owners, he must reimburse them for the legal fees”. Goodell claims there’s no animosity between the two men. 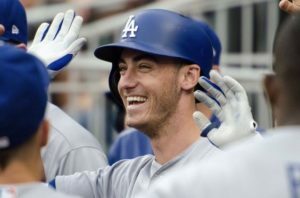 The Los Angeles Dodgers’ Cody Bellinger captured the National League Rookie of the Year honors. The votes were unanimous for Bellinger who hit a rookie record 39 home-runs this season (despite only starting on April 29th). This is the second year in a row a Dodger rookie won the award. Last year, Corey Seager unanimously won. Quarterback Cam Newton carried the Carolina Panthers to a monstrous win over the Miami Dolphins on Monday Night Football. Newton passed for four touchdowns with 95 rushing yards. Panthers 45, Dolphins 21. In Monday Night Football, the Tennessee Titans took until the 4th quarter to score all three of its touchdowns in their win over the Indianapolis Colts. Marcus Marietta threw for a season high 306 yards to help his team’s comeback. Titans 36, Colts 22. 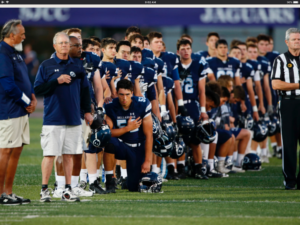 Speaking of Kaepernick (again), a junior varsity assistant coach, Jacob Malay, at Bellarmine College Prep in San Jose California submitted his resignation when a handful of the high school varsity players knelt during the National Anthem at a game a few weeks ago. In his resignation letter he stated, “The act of kneeling during the national anthem doesn’t create dialogue, it creates division.” He went on to say, “It is shameful because BCP not only knew (or should have known) this was going to happen, but didn’t do anything to stop it. As adults in this equation, it is our fundamental duty to act when we know, or eventually realize, that irreparable harm is being done.” According to the San Jose Mercury News, the protest has caused a deep divide in the community. New York Yankees outfielder Aaron Judge kept the Yankees alive with a huge catch and a three-run homer in the 4th inning in a big game 3 win over the Houston Astros. The American League Championship series now stands at 2-1. In the game itself, Cowboys quarterback Dak Prescott was on fire with three touchdowns including one rushing TD that turned into a flip in the end zone for a 28-17 win. 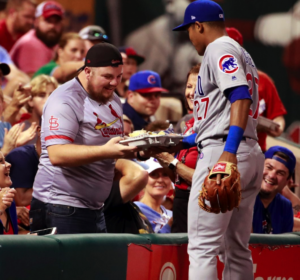 One of the charming stories from Monday night was seeing Chicago Cubs shortstop Addison Russell delivering a plate of nachos to a fan who lost his first plate when Russell dove into the stands to try and retrieve a ball. The Cubs beat the Cardinals 10-2 and are one win away from clinching the National League Central division. 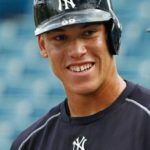 In other MLB news, Yankees Aaron Judge broke the rookie home run record by hitting his 50th home run on Monday. The record was previously held by the Oakland Athletics Mark McGuire in 1987. After a grueling 4 hours and 48 minutes, #16 in the world, Gilles Muller ousted #4 Rafael Nadal at Wimbledon on Monday to reach the quarterfinals. #1 Andy Murray and #3 Roger Federer also advanced to the quarters. In the women’s bracket, #1 seed Angelique Kerber lost while #10th seed Venus Williams moved ahead to the quarterfinals. The starting lineup for Tuesday night’s All-Star game was announced, but the most anticipated event during the mid-season break was Monday’s home-run derby. All eyes were on Yankees’ rookie Aaron Judge, who did not disappoint. 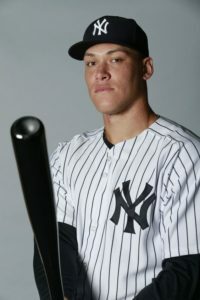 Judge leads the league with 30 homers so far this season, and with a head to head battle against eight players, Judge blasted the field and easily won his final round with extra time to spare. Fans are clearly excited by this rookie as evidenced by his signed baseball card selling on eBay for $14,000.